Two Brothers’ Roundhouse in Aurora, IL will host Pete Jive & Old Shoe as they perform a “songs of Jerry Garcia” inspired set on Friday, August 10, 2012. Jerry Garcia would have turned 70 years old just a few days ago. In homage to this classic icon, Old Shoe front man Paul Priest says Jerry is, “easily one of the most important influences on his music.” The bluegrass beginnings of Jerry that transitioned into electric very much fit Old Shoe’s Americana style travels and song writing.With beers ranging from Hawaii to France, the Roundhouse has something for everyone. The food is made in-house with sustainable fish, organic meat, and local produce from Wagner Farms in Naperville. The Roundhouse has something for everyone. The show will be all ages, but please be sure to show valid ID if you plan to drink. “Jerry was a beautiful man whose job it was to shed light and not to master. He was a great innovator, in teams of gear. He had a superior ear for melody and tone, blended well in ensembles, and collaborated with the right people.” - Paul Priest, Old Shoe This collaboration is definitely one to catch! 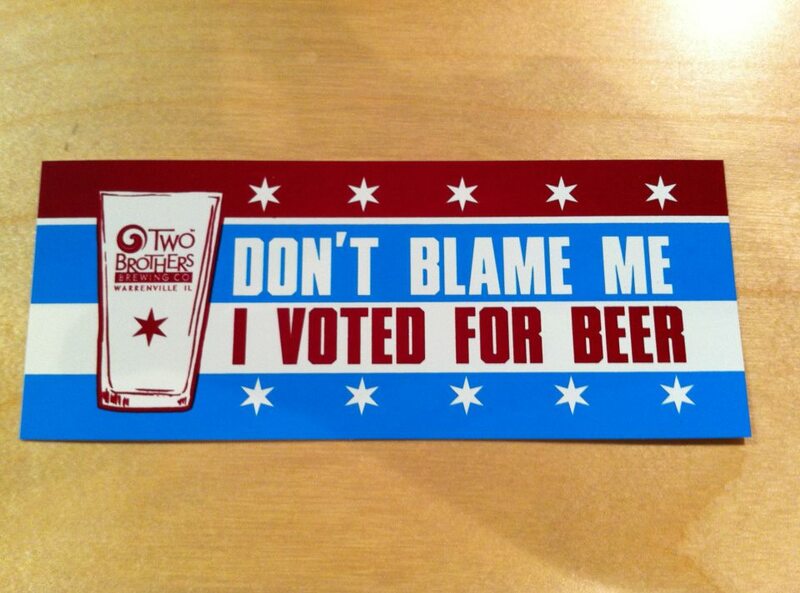 Don’t forget to grab your Two Brothers Brewing stickers. They are fresh off the presses for election year. Git ‘em while they last!